Quick Savings » Insurance » Rent guarantee insurance – what is it? And is it worth buying? Rent guarantee insurance - what is it? And is it worth buying? 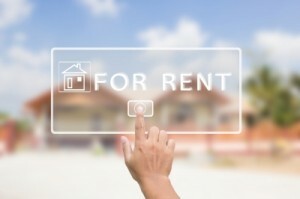 A landlord's worst nightmare is having a tenant who will not, or cannot, pay their rent. Whilst most landlords cover themselves for buildings, contents, liability protection and legal expenses, very few will purchase rent guarantee insurance. Rent guarantee insurance might save you a headache. Rent guarantee insurance covers a landlord's income if their tenant falls into arrears with their monthly rent. According to recent figures released by the National Landlords Association nearly half of landlords have experienced rent arrears in the past 12 months. Some landlords wrongly believe they are covered under a buildings policy but this type of insurance tends to only cover rent when the property is damaged by fire etc. So it is essential landlords purchase the right type of insurance for their needs and certainly rent guarantee insurance should be high on their list. You can get a rent guarantee insurance quote here*. What does rent guarantee insurance cover? Most insurance providers will cover rent arrears up to a pre-agreed limit for either 6 or 12 months and will normally cover legal expenses in the case of a dispute. Premiums start at around £50 per month which will provide cover of around £500 per month of rent for a 6 month policy. Are there any conditions regarding making a claim under a rent guarantee insurance? Providers offer different terms regarding when payout commences and for how long they cover the rent. Some policies will pay out immediately while others will only pay out after 90 days of arrears, some will cover rent for a maximum of 6 months others until the current tenancy agreement ends. Are there any alternatives to rent guarantee insurance? Rent guarantee insurance is often overlooked by landlords but as shown above is not overly expensive compared with the peace of mind it provides. If you are using a letting agent you may find your agent can provide this cover at a competitive rate or alternatively get a quote for rent guarantee insurance here*. Why should the self employed or contractors consider income protection insurance?